Fermentation is the process of yeast converting sugar into alcohol with a byproduct of carbon dioxide. According to Jamie Goode and Sam Harrop in “Authentic Wine” there are over 800 aroma and flavor compounds in wine and over 400 of them come from yeast. Based on that fact it is obvious that yeast is very important to the flavor and aroma of wine. The most common yeast used by winemakers who choose to inoculate is Saccharomyces cerevisiae due to its tolerance to survive a high alcohol environment. 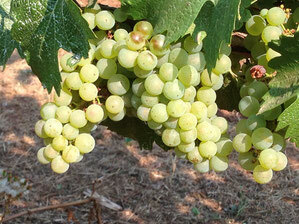 There are also native yeasts that live in the vineyard and in the winery. Saccharomyces cerevisiae is there in smaller quantities compared with wild yeasts from the Kloeckera and Candida genus at the start of fermentation. 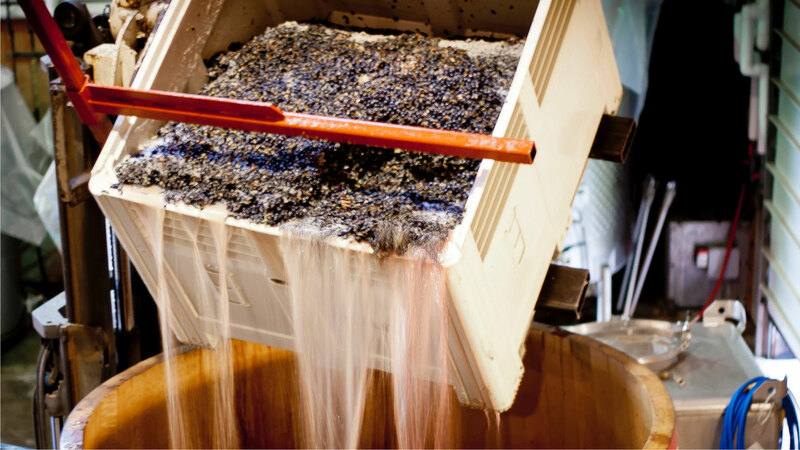 Grapes are picked whole cluster and placed in bins where the fermentation process starts almost immediately as the clusters on top crush the ones on the bottom and the wild yeast begins turning the grape juice into alcohol. Some producers prefer using whole cluster fermentations but most of them will destem the grapes so only the whole grapes remain. Lalou Bize-Leroy, one of the best producers in Burgundy, chooses to use whole cluster fermentation. One of her main reasons is to not disturb the native yeast. The wild yeast strains dominate the first few days of fermentation until the alcohol level reaches 3-5%. After that S. cerevisiae takes over because it can handle the higher alcohol environment. Once the grapes come into the winery the winemaker can let the fermentation continue naturally or they can kill the native yeast either with sulfur dioxide or by dropping the temperature. Once the native yeast is no longer active they add a cultured yeast, most often S. cerevisiae. A third option is to add a cultured yeast after a few days, never killing the wild yeast. The argument for using cultured yeast is for its predictable and vigorous fermentations. It gives larger wineries the ability to have a consistent product. The winemaking school UC Davis promotes this approach because it is more consistent and reduces the risk of getting negative side effects from wild yeast. Fermentations are also typically shorter, allowing for more tank space for larger wineries leading to more production. The argument for using native yeast is that even though the wild yeast only survive for a few days until the alcohol gets too high, they still provide texture and give the wine a sense of place. I can’t help but think that if over half of the aroma and flavor compounds come from yeast that having the native yeast begin fermentation for even a few days adds complexity. All of the best and most expressive Pinot Noir I have had in my life come from producers who use native yeast. If nothing else it definitely expresses the vineyard in its purest context. The best Pinot Noir in the world is often used with a minimalist approach to winemaking. I came across an article that discusses many techniques for making Pinot Noir and at the end goes over some of the famous producers methods. The entire article is worth but the end is what I was interested in. I went to a "Best of Burgundy" tasting in LA at the LA School of wine back in 2009 and tried twenty one wines that ranged in price from $120-$2,200. Two of the famous producers Domaine Dujac and Domaine Leroy are discussed in the article. The article says Dujac uses 40% whole cluster, 4-6 day cold soak (30 total days of maceration), fermentation temperatures around 81 degrees, 100% new oak, no filtering. Leroy uses 100% whole cluster, 5-6 day cold soak, long fermentation, no fining or filtering. Burgundy uses the native yeast that lives in the vineyard and in the winery. 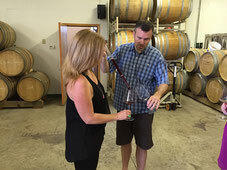 In Oregon, many wineries are using native yeast as well, rather than kill the native yeast with sulfur dioxide and add a cultured yeast. The truly special wines out there let the grapes express the site and not try to mask the fruit by manipulating the wine. 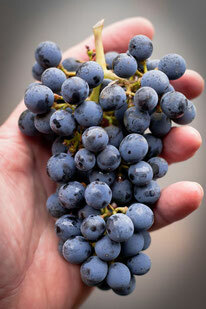 Read the whole article here to learn more about making Pinot Noir. 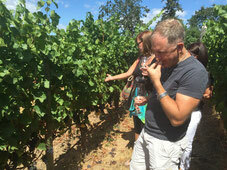 Randy Kenmer does a great job with his blog for Wine Country. This one discusses how a winery was penalized for making an elegant style wine by critic Robert Parker. I am always appalled when wines are manipulated to appease critics. So, you want to go wine tasting but you don’t want to drive. You have a few options. You can plan a tour yourself, starting by appointing a friend or family member to be the designated driver. This is a great way to taste if you want to experience new wineries and aren’t looking for anything specific. You can make your own schedule and take as much or as little time at each winery as you like. The downside is that the wineries might be crowded so you may not receive as much attention as you like. You might also miss information about the area and the wine history during the drive between wineries. It won’t be an inexpensive day either since you will have to pay tasting fees that usually run around $10/person. Throw in gas and lunch and it adds up quickly. Another option: hire a limo company to take you and your group around. This is a great option if you want to ride in comfort with several people. Depending on the size of the limo it isn’t that expensive to go on a local tour ($400-$500 for a group of 6 for a 5 hour tour). That usually doesn’t include tasting fees, lunch and often times gas. You can still run into crowds and your driver may or may not be knowledgeable about wine. A third option: hire a winery tour company. The benefits: your guide will be knowledgeable about the wine region, be able to answer most of your questions about wine and be able to cater the tasting to what you want. Companies can set up private tastings, some will even arrange time with winemakers or owners. Some companies cover tasting fees and lunch, others do not. When you’re researching you want to ask about fees in considering the total cost. Most companies charge $100-200 per person. Remember, most places charge $10/person for a standard tasting. 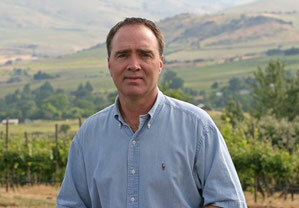 I own a winery tour business called Oregon Vine2Wine Tours. We charge $300 for a couple and $125 per person on top of that up to six people. (We only do groups up to six people to keep all tastings intimate and personal). All tasting fees and lunch are included in the price. We visit four wineries in one region. 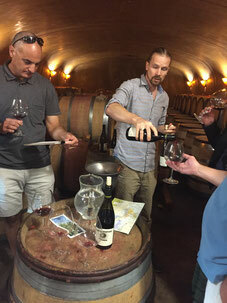 The Umpqua Valley near Roseburg is a good choice for big red lovers, while the Eola-Amity region near Salem is a great choice for Pinot Noir fans. We can also tour around Newberg in the Chehalem Mountains. 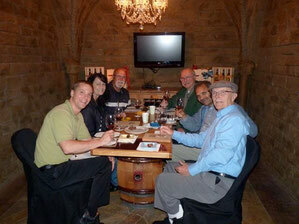 Each winery arranges a private tasting, most of them involving an owner or a winemaker. We focus on terroir driven producers who make wines that show a sense of place. Most of these are small producers, many of them still relatively unknown to the general public. Going on a tour with us gives you the chance to meet owners and winemakers, letting them share their passion of wine with you. It is a fun and educational way to go wine tasting. Wine tasting is fun no matter how you do it. Some people just want to go taste various wines and have a nice social experience. Other people want to learn about what they are tasting, a little wine history and meet owners or winemakers who can share their passion of wine. There is no right or wrong way to go tasting. You choose what’s best for you.